SolScapes provides safe solutions with experienced, trained crews and specialized equipment to exceed the needs of our Oil & Gas customers. 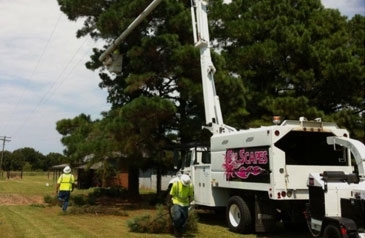 SolScapes is committed to, and completely involved with, the maintenance and removal of trees and other vegetation that might endanger the safe and reliable operation of poles and lines for the delivery of electricity by the power company. Whether it's transmission or distribution lines, SolScapes uses a systematic approach to maintaining these overhead lines. 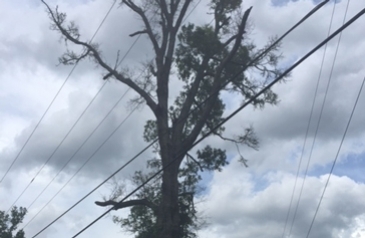 The condition of vegetation (brush and trees) around the power lines dictates how we need to manage the growth in a safe manner that exceeds power line clearing standards. 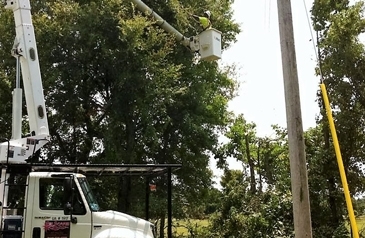 In an effort to improve and maintain service reliability, SolScapes will assist the power companies with inspecting critical portions of their primary lines to target "hazardous trees" / "danger trees" that have a high probability of failure. 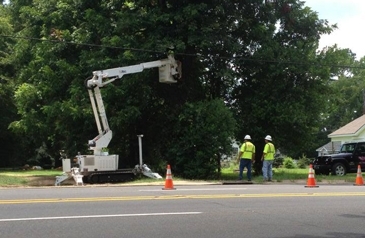 SolScapes will chip the branches removed from trees and rake up twigs/debris and disperse sawdust. 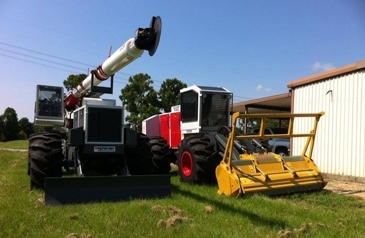 We will dispose of it in a manner that is acceptable to the power company and the landowner. Following severe weather or other emergency events, increased levels of debris and fallen trees are to be expected. To minimize additional risk SolScapes takes steps for proper disposal according to the power company.